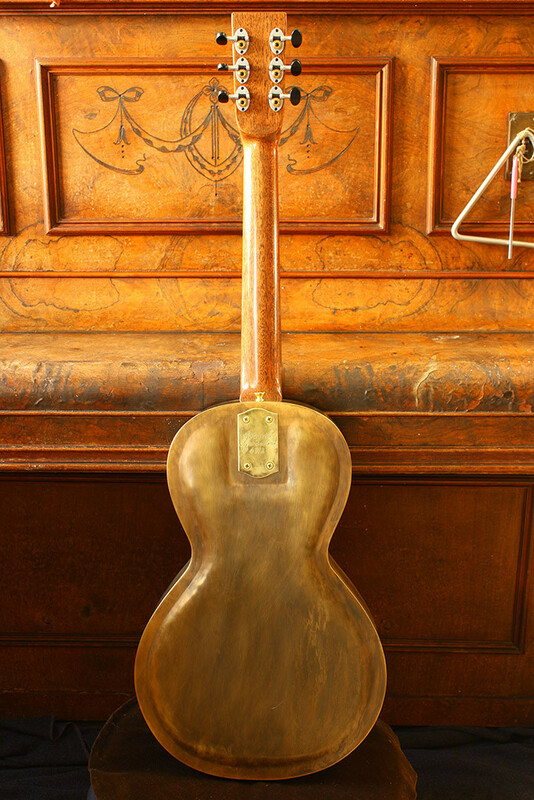 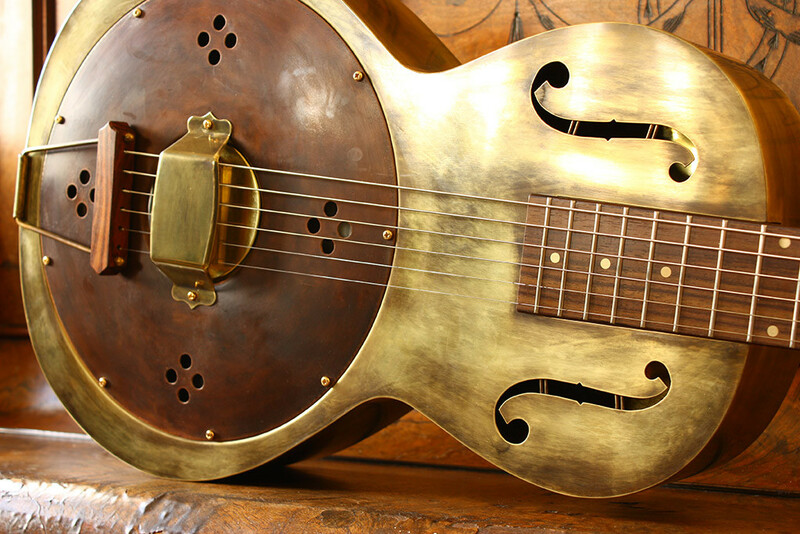 The Parlor model design draws it’s inspiration from the very early days of Blues. 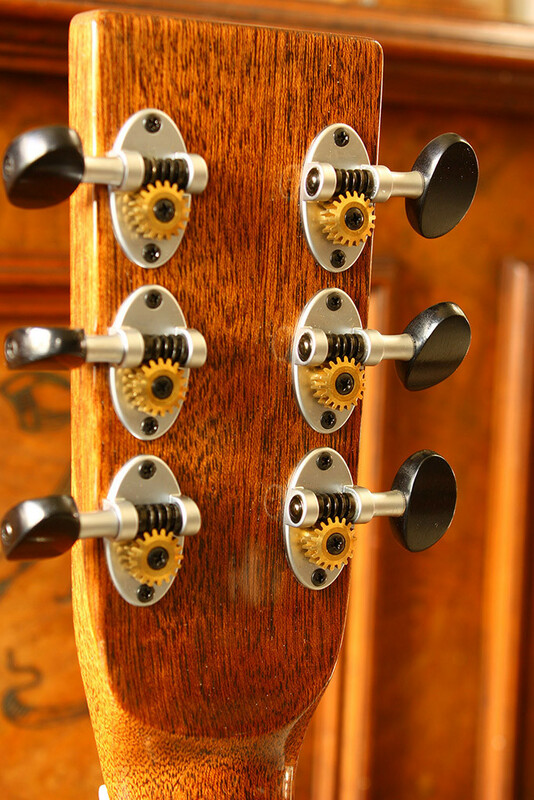 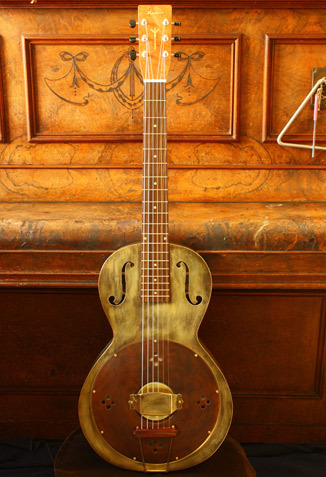 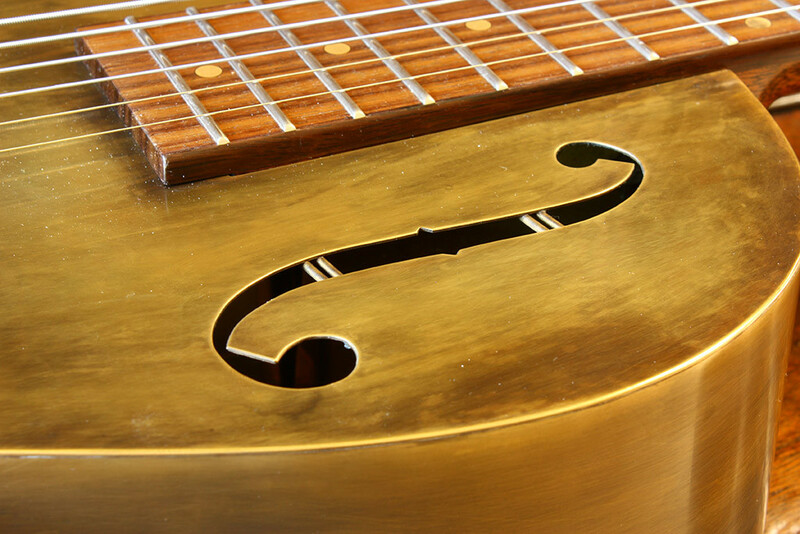 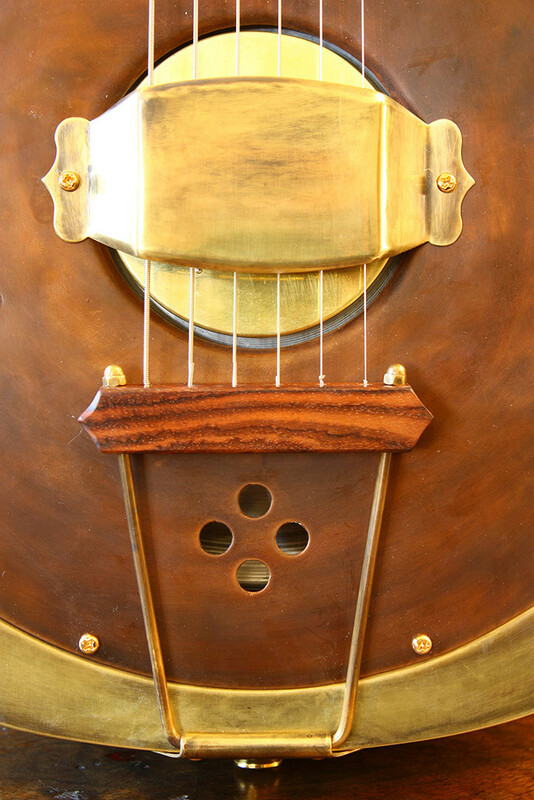 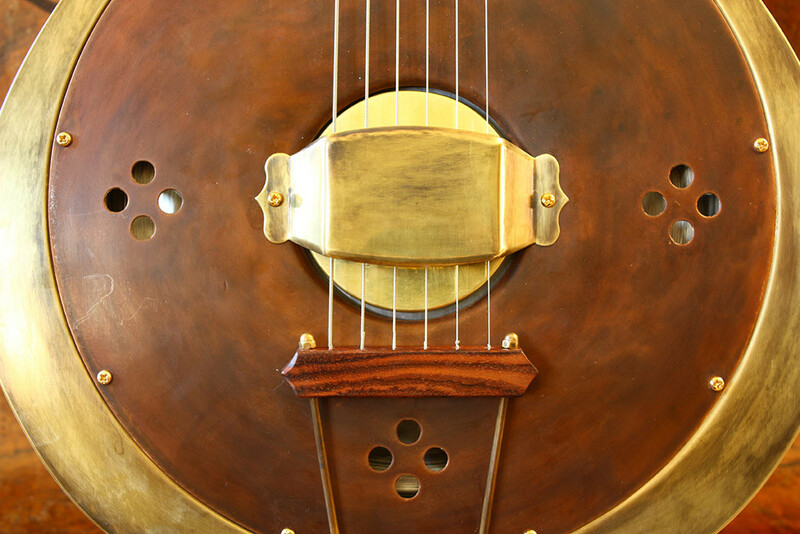 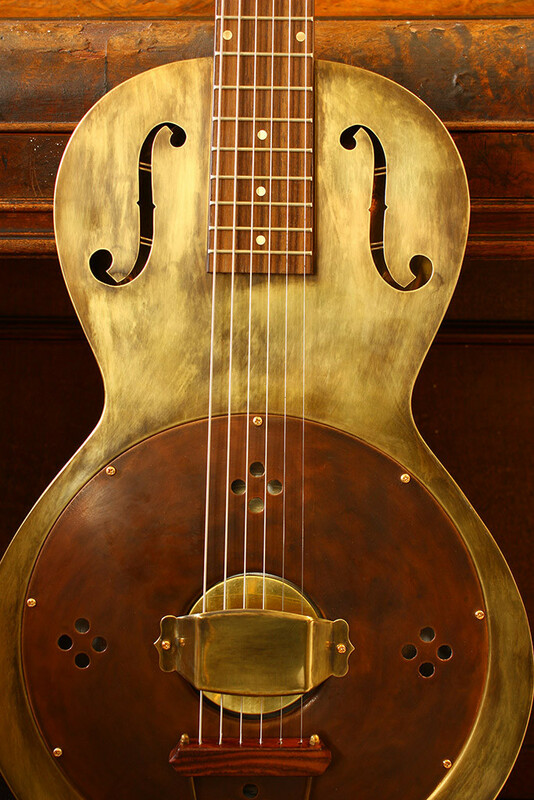 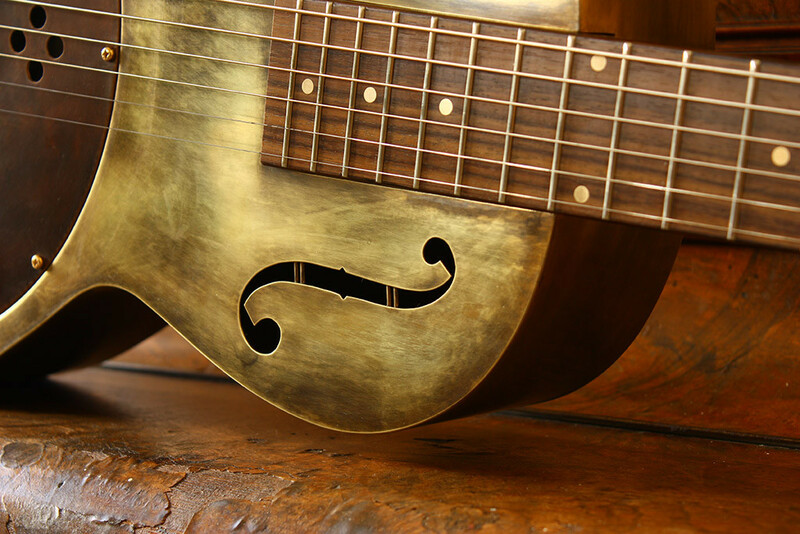 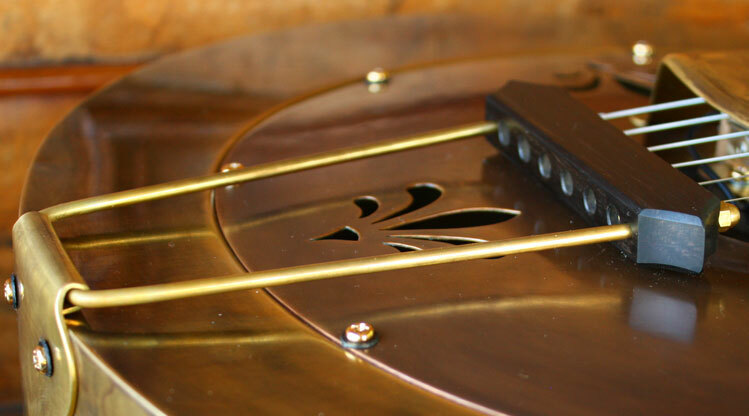 From Charlie Patton, Blind Lemon Jefferson and Lonnie Johnson to the days of 12 fret guitars. 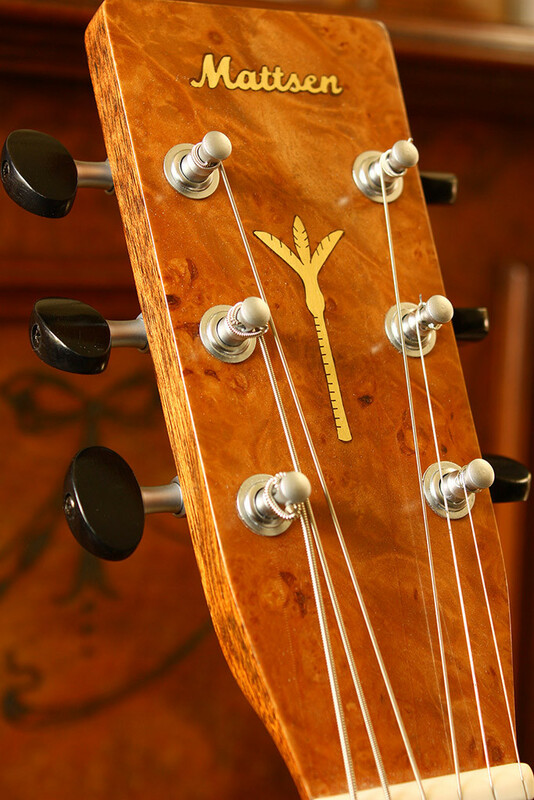 The Parlor is a fun guitar to play with its smaller lighter body and is available in Antique, Polished and Nickel Finish.